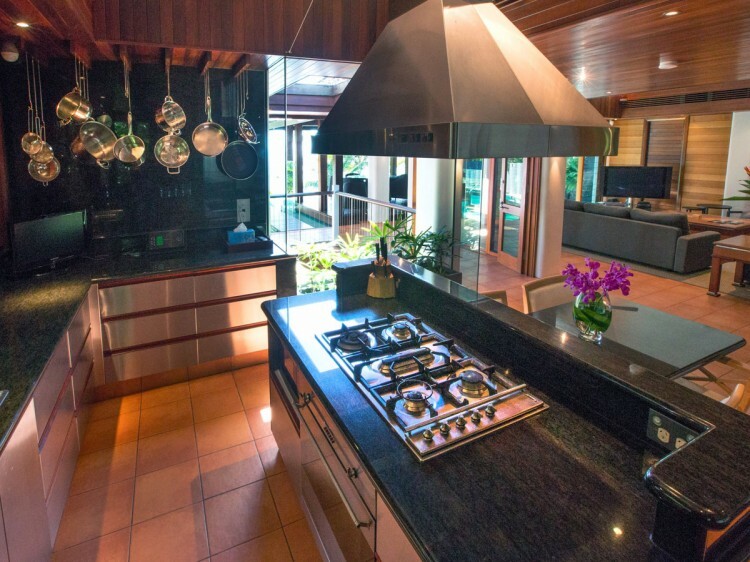 Stake your claim to celebrity with this Port Douglas holiday house located at 17 Wharf Street. Not many can say that they've slept in the same house as A-list celebrities like Kate Hudson. 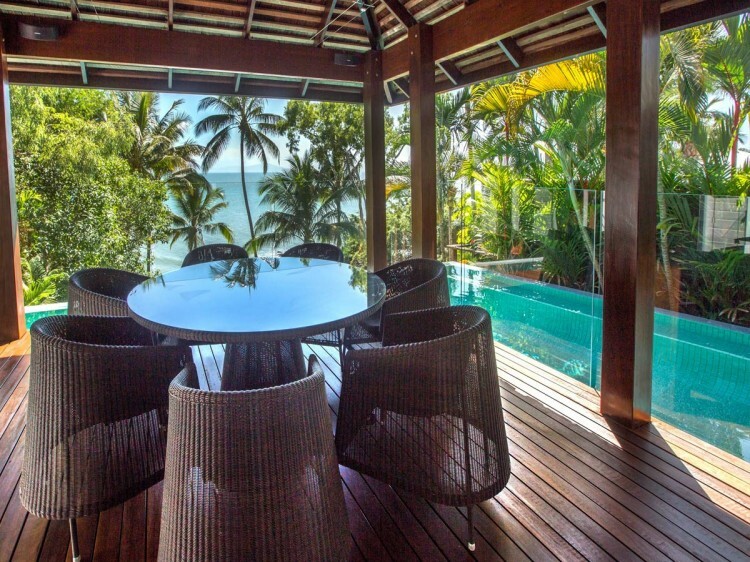 At this absolute beach-front holiday home in Port Douglas, you can see why there's a waiting list just to squeeze in a week here. 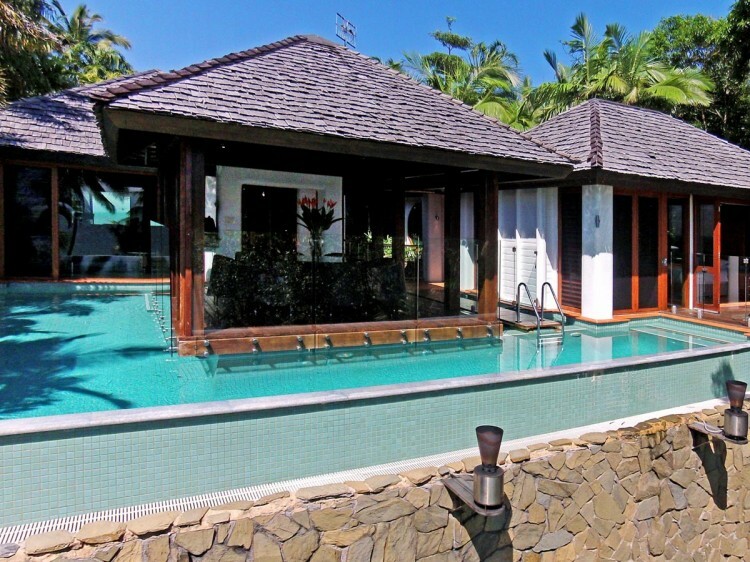 The glorious sea views greet you upon your arrival to this house. Port Douglas is so serene you can listen to the waves lapping on the shore while you welcome the boats back into the marina. Or just let your eyes drift from the comfort of your pool observation deck. Entering this lavish home, the floor beneath feels like smooth washed stones from the sea and the warmth of the kitchen lures you in further. 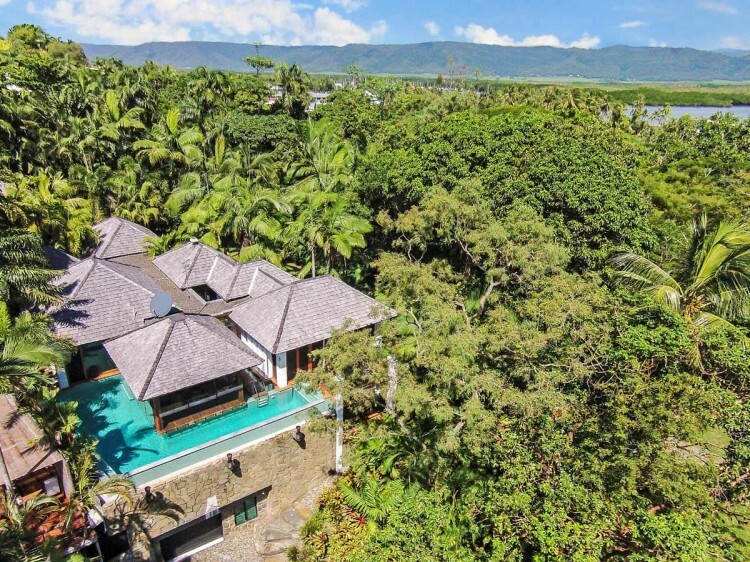 Lose yourself in between the pavilion, the lounge, three king-sized bedrooms and lush surroundings of this holiday house in Port Douglas. Amble down to your own private beach and lie on the grassy knoll that rolls into soft white sand. Drifting down the solid timber stairs of this million-dollar home, you'll arrive at the guest quarters and be enchanted by the side garden, filled with just about every tropical plant imaginable.